Bee Herz: Initially, as a young child; but, I suppressed the urge to use it because I didn’t think it was appropriate. It really interests me that at a young age I was judging myself and for whatever reason deciding it was inappropriate for me to communicate with the spirit world even though my upbringing included strong spiritual beliefs and practice. Coincidentally, I think, because of this, I am driven to elevating the field of psychic mediums and insuring integrity and professionalism in the career I’ve embraced. It took many years for me to finally accept and agree with the Spirit plane to pass the communication on and fully embrace the psychic medium gift. 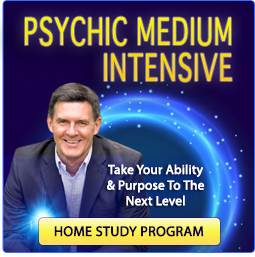 Bee Herz: Actually, most of my training or preparedness has been through plenty of firsthand experience as a psychic and medium and as a volunteer and caretaker for the dying. I have completed classes on Hospice, Death and Dying and the Grieving Process locally and at Naropa University and Upaya Institute. I’ve also read every book available and researched everything I could get my hands on in the medium and psychic subjects after finally accepting that the spirit world really wanted to communicate through me. I have had the honor and privilege of taking care of Hospice patients and being with the dying during the active dying process; as well as, after death when the soul is processing and leaving this plane. You know, you’re taught in Hospice not to speak of the actively dying patient even when you’re completely out of the patient’s hearing distance because somehow the patient can hear. There are nurses and doctors who believe the soul travels in and out of the body prior to final death; and, dying patients with some frequency later express they heard a conversation that a family member or nurse has had off in the cafeteria far out of hearing distance. For me, the dying as well as the souls and spirits that visit during the dying process have been powerful teachers for me. 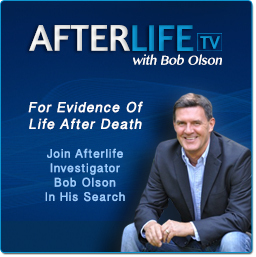 Bob Olson: How has Hospice volunteering and caretaking of the dying benefited your psychic medium abilities? Bee Herz: I have seen and acquired many insights into the soul and spirit plane through being exposed to the process of dying and watching consciousness leave the physical body. Through this exposure, my abilities to feel, see and receive messages have multiplied greatly. Bob Olson: What other education, degrees or certificates have you earned? Bee Herz: I have a certificate in Massage Therapy from Kripalu Institute. I, also, have a BFAID degree from the University of Cincinnati and have a prior life (in this life) as an Industrial Designer. I also have training and certification in Suicide Prevention. Bee Herz: Clearly, for me, it is to help and serve humankind and this is my purpose on earth and strong calling from Spirit. As an aside, I feel strongly that it is essential that I insure the integrity and clarity of messages I receive and give to others. My hope is that through consistently providing superior guidance, the psychic medium profession will be advanced and transformed. Bob Olson: Is there anything about your gift or abilities that are unique from most other psychics or mediums? Bee Herz: Prior to giving a psychic medium reading, I spend time meditating about you and then requesting your guides and universal source of life, call that God or whatever is your personal belief, to deliver whatever is appropriate for your reading. I always request that whatever is delivered will benefit your path at this time. For a medium reading, I also meditate and receive messages before and then during the reading. During the reading, information and messages from Spirit and/or deceased loved ones will drop into my consciousness rather quickly and because of this, I request that you take notes of the reading. I rarely retain memories of our reading and the messages are not coming from me; but, through me. Bee Herz: I do both in person readings and phone readings. 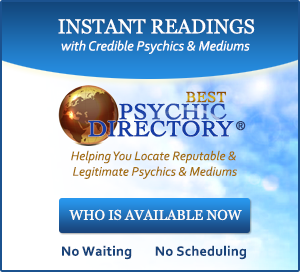 Bob Olson: How does one contact you to set up an appointment for a reading? Please include your website address. 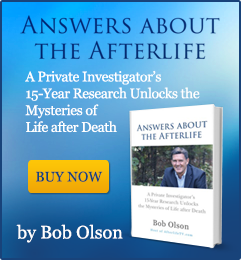 Bob Olson: Is there anything else that you would like people to know about you or your gift that we have not yet discussed? Bee Herz: I believe that our true nature is love and that in order for humankind to evolve to the next level of consciousness, a person must learn acceptance of whatever there is that cannot be controlled. The sooner a person can incorporate this acceptance in their psyches, the faster they can evolve in this existing lifetime.